Yiyun Li, who grew up in Beijing, came to the University of Iowa to study science, but soon turned her attention to writing. The graduate of the Iowa Writers’ Workshop returned to Iowa City in March of 2014 to read from her second novel, Kinder Than Solitude. She sat down for this Writers On the Fly interview during her visit. She discusses her experience at the Writers’ Workshop and the value of finding her “writer friends.” She also speaks of readers’ interest in her decision to write in English, which is not her native language, as well as her tendency to write sad stories. She considers the ways in which “writing is a conversation with others” as she reflects on the possibility of a spiritual dimension to writing. 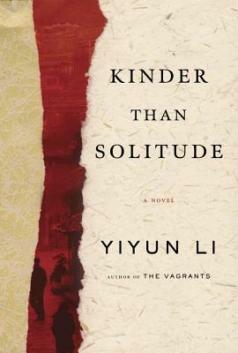 In addition to Kinder than Solitude, Li is the author of the short story collection A Thousand Years of Good Prayers, which won the Frank O’Connor International Short Story Award, PEN/Hemingway Award, Guardian First Book Award, and California Book Award for first fiction; the novel The Vagrant, which won the gold medal of California Book Award for fiction, and was shortlisted for Dublin IMPAC Award; and the short story collection Gold Boy, Emerald Girl, which was a finalist of Story Prize and shortlisted for the Frank O’Connor International Short Story Award. She has received the Whiting Award and the 2014 Benjamin H. Danks Award from the Academy of Arts and Letters, and she was a 2010 MacArthur Foundation fellow. Granta named her one of the 21 Best Young American Novelists Under 35, and The New Yorker named her one of the best 20 writers under 40.